Per tutti e per ciascuno. La scuola pubblica nel Cantone Ticino dall’Ottocento ai giorni nostri. Volume a cura di Nelly Valsangiacomo e Marco Marcacci. Pubblicato presso Armando Dadò editore con il sostegno della Società Demopedeutica (2015). 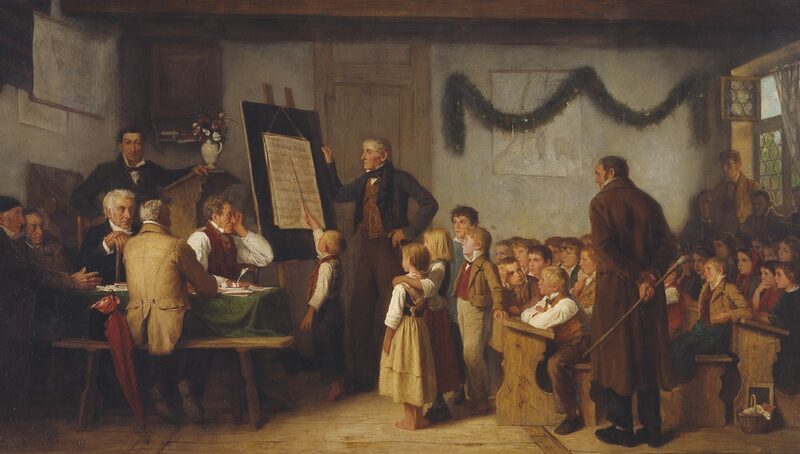 The Educated Subject and the German Concept of Bildung. A Comparative Cultural History. German education plays a huge role in the development of education sciences and modern universities internationally. It is influenced by the educational concept of Bildung, which defines Germany ‘s theoretical and curricular ventures. This concept is famously untranslatable into other languages and is often misinterpreted as education, instruction, training, upbringing and other terms which don’t encompass its cultural ambitions. Despite this hurdle, Bildung is now being recognized in current discussions of education issues such as standardization, teaching to the test, evidence-based policy and high stakes testing. This volume clears up the confusion and misunderstandings surrounding Bildung by examining the origins of the concept and how it has been applied throughout history. It paves the way for educators to fully understand and benefit from this model and all it has to offer. Après un an d’interruption (2014), la série du Cartable de Clio (1/2001 – 13/2013) reprend avec une nouvelle formule et un nouveau titre DIDACTICA HISTORICA Revue suisse pour l’enseignement de l’histoire. La revue du GDH est désormais éditée en partenariat avec la société alémanique de didactique de l’histoire (DGGD). L’Académie des sciences morales et politiques (Institut de France) vient de décerner le Prix Louis Cros 2015 à la thèse d’Alexandre Fontaine intitulée „Aux heures suisses de l’école républicaine“ et parue chez Demopolis Paris en mars 2015.